Caffeine Travel Mug (Stainless Steel), Mugs and Apparel: Educational Innovations, Inc. This 16 oz. 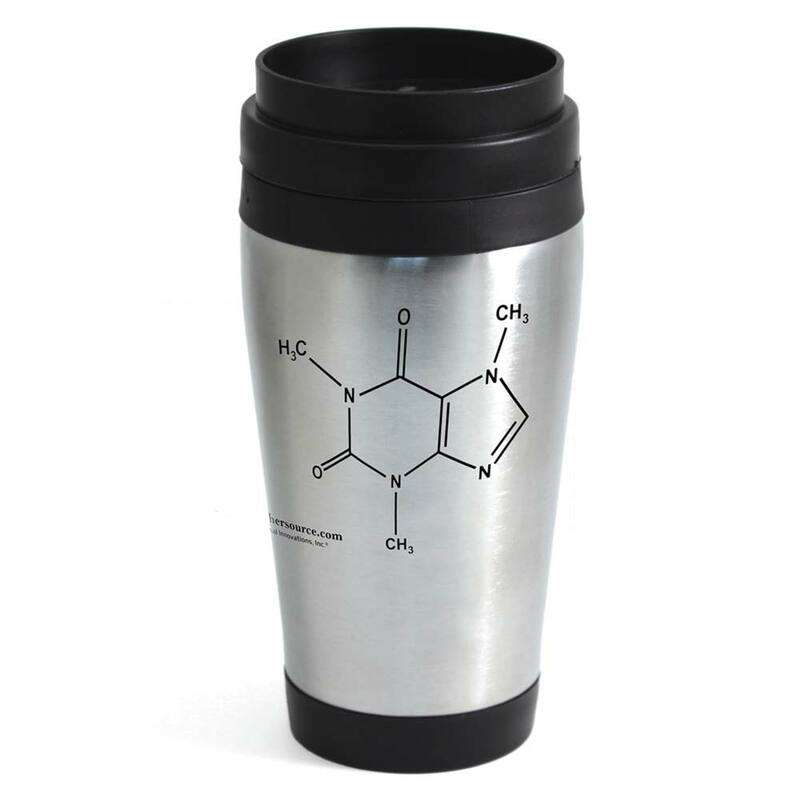 stainless steel travel mug is imprinted with the molecular structure of our favorite morning stimulant! This 16 oz. stainless steel travel mug is imprinted with the molecular structure of our favorite morning stimulant! This insulated mug will be a great conversation starter with your friends, students and coworkers. Hand wash with warm water. Style may vary. I love my mug! It's so cute and perfect. I recommend!! Ordered this travel mug for myself but my husband just loves its durability so I guess I'll need to order another very soon. 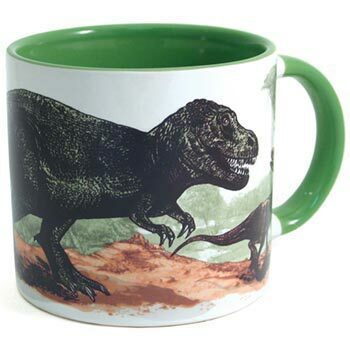 These mugs are great--and sure to get the kids questioning what's on the side. Perfect for my 8th grade chemistry class. 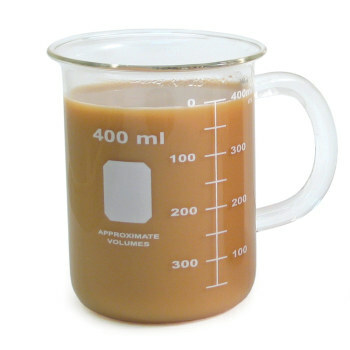 science teachers love these mugs! better gift than an apple. DCI-5/PS1.A: Structure and Properties of Matter. Measurements of a variety of properties can be used to identify materials. DCI-MS/PS1.A: Structure and Properties of Matter. Each pure substance has characteristic physical and chemical properties that can be used to identify it. DCI-HS/PS1.B: Structure and Properties of Matter. Stable forms of matter are those in which the electric and magnetic field of energy is minimized. The Caffeine Stainless Steel Travel Mug is every coffee or tea lover's best lab assistant. 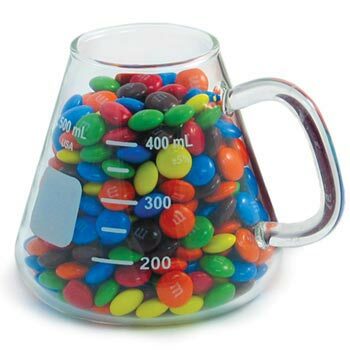 It will prove to be a great conversation starter with students to stimulate their love of Chemistry. 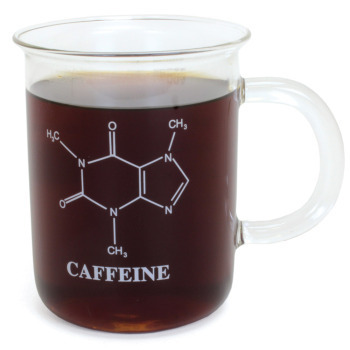 Students are able to apply new and existing chemistry concepts when they see this molecule on the mug.